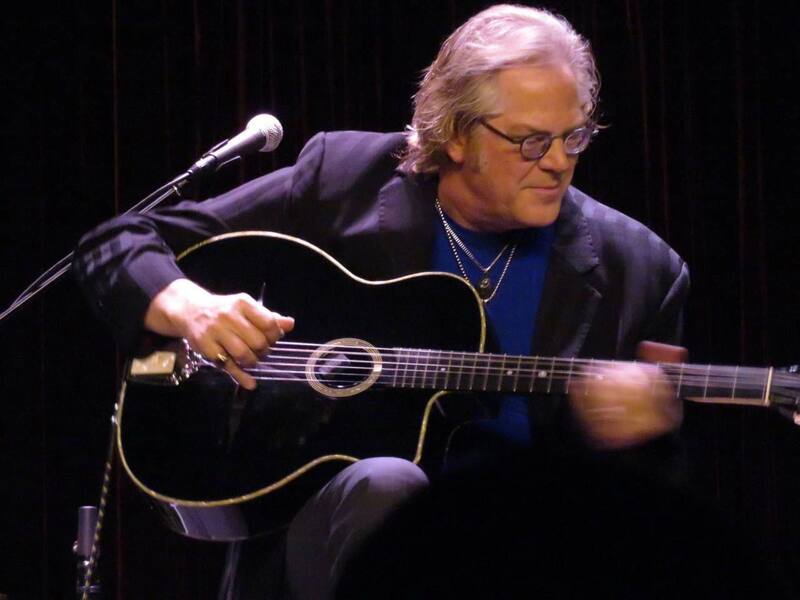 One of the most respected guitarists in the world, and truly a musician’s musician, Jorgenson is also proficient on the mandolin, mandocello, Dobro, pedal steel, piano, upright bass, clarinet, bassoon, and saxophone. Since discovering Django in 1979, Jorgenson has become “the US Ambassador of Gypsy Jazz”. Jorgenson annually plays dates across the U.S. and Europe with a dynamic range of musical offerings, combining elements of world music, bluegrass, rock and classical. Touring with multiple musical configurations such as the John Jorgenson Quintet, the John Jorgenson Electric Band, the John Jorgenson Bluegrass Band, and the Desert Rose Band. “A Tribute to John D. Loudermilk” features two dozen performances of songs penned by Loudermilk, most known for writing “Tobacco Road”. It was recorded live March 2016 in Nashville. John was the musical director and produced all the audio for the resulting PBS video special and album release. John says that because the concert was a one-time live event, many of the acoustic instruments were just plugged into the nearest DI box. As a result, the recorded sound left much to be desired. While mixing the concert later in the studio, he ended up using his ToneDexter to post-process the guitar tracks of Ricky Skaggs, Emmylou Harris, Mike Loudermilk, and Deborah Allen. He simply tried all his existing WaveMaps to see if any of them would be a close enough match to improve the raw recorded pickup sounds, and reports that he’s more than satisfied with the results. 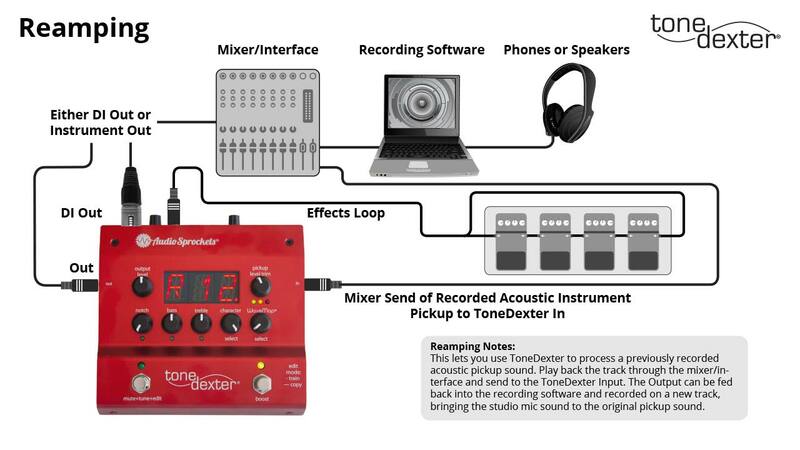 ToneDexter connectivity diagram for post-processing the guitar tracks as described in the article.